One more point worth noting is that the condition has to be tested manually as was done in our earlier article. This entry was posted in Linux Kernel Internals and tagged Linux Kernel Development, Linux Kernel Internals, Wait Queues on January 5, 2016 by Pradeep D Tewani. This 12th article in the series of “Do It Yourself: Electronics”, demonstrates setting up of USART communication with a micro-controller. While trying out the various micro-controller programs, Rohit or for that matter even Pugs had many times faced a dire need for something more than blinking a LED but simple enough to debug their programs – something like printf(). And that brings them to the ubiquitous serial communication over serial port or the USART (Universal Synchronous Asynchronous serial Receiver Transmitter). Though it is vanishing from today’s PCs & laptops, almost every embedded device has it. And so is it with the ATmega16/32 – it has the pins 14 (PD0 / RXD) and 15 (PD1 / TXD) respectively for receiving and transmitting data serially. However, these pins operate at TTL voltage levels or so as to say at 0V & 5V in our case. So, if we want to communicate it with our PC, say over USB, we would need a TTL to USB converter. Figure below shows one such hardware readily available in the market. * For default of Asynchronous mode and for USART0. Note that Pugs’ TTL to USB connector shows up as /dev/ttyUSB1 on his laptop. In case, yours is different, use that instead. And as usual, it didn’t work in the first shot, even though he removed the jumper J1. 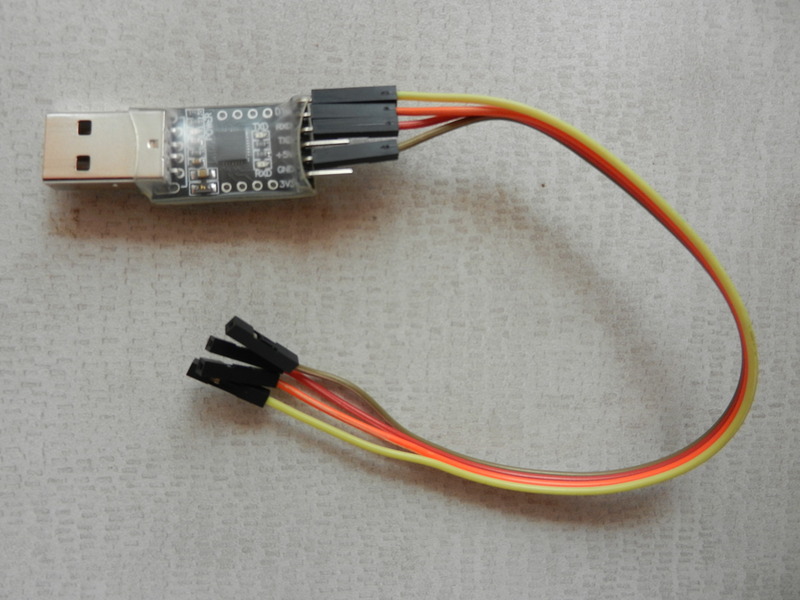 After some googling, Pugs realized that it should have been a common sense to connect the RXD of the micro-controller to the TX of the TTL to USB converter and TXD of the micro-controller to the RX of the TTL to USB converter, rather than TXD to TX and RXD to RX, because data transmitted from micro-controller would be received by the USB and vice versa. So, correcting the connections, Pugs got the input character echoing back on the serial console. To see what he was typing, Pugs typed Ctrl-A E on minicom. And, to quit from minicom, Pugs typed Ctrl-A Q. Given the basic setup and operation of USART achieved, watch out for how Pugs designs a library to do some fancy debugging. This entry was posted in Electronics and tagged ATmega16 serial configuration, ATmega16 serial programming, ATmega16 USART configuration, ATmega16 USART programming, basic electronics, basic electronics tutorial, serial communication with micro-controller, serial communication with uC, USART communication with micro-controller, USART communication with uC on January 5, 2016 by Anil Kumar Pugalia.